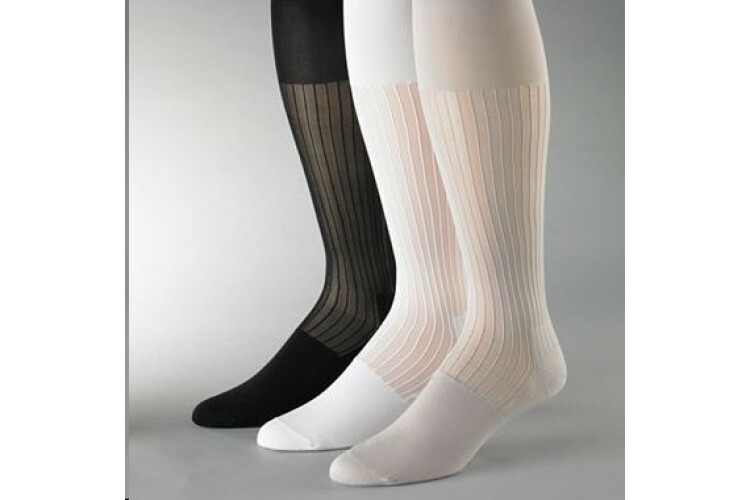 Very thin ultra formal Sheer nylon socks by Stacy Adams, available in a variety of patterns and colors. 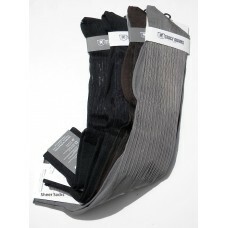 Socks are only sheer from the ankle up the foot section is reinforced in the heal and toes for maximum support and longevity. Socks Stay up all day with no sock slippage. 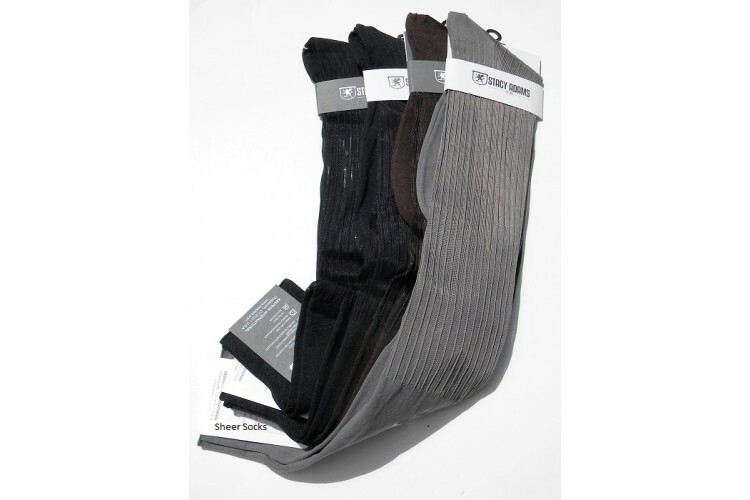 The DuPont lycra and spandex give it strength and stretch ability. Some socks are not as sheer as others depending on the pattern.